Cindy: Look at Timmy and Annie. Don't they look sweet together? 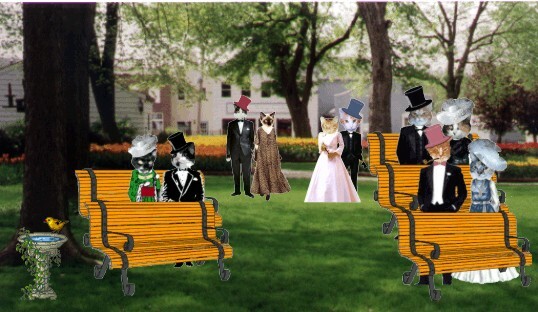 Molly: They are all alone in the park bench together. 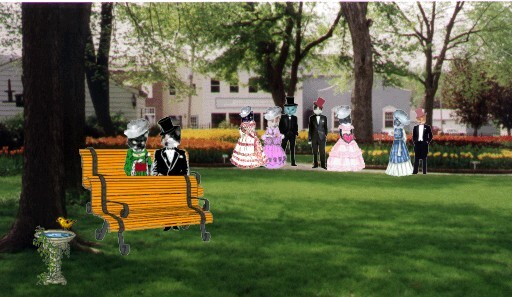 Bear: "They are so much in love"
Timmy: Annie, we gotz the best seat in the park! the bird at the birdbath! Isn't he sweet? Bear: Do you spose that those front seats are being saved for us? Leo: Let's go and get seated befur anyone else comes! 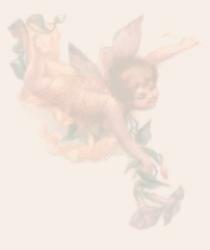 the talk of the ceremonies and at the ballroom dance after the wedwink. will greet her with open arms and paws. Tim and Annie went to the two wedwinks.